The bird feeders are up at last just as the fall colors are shinning. 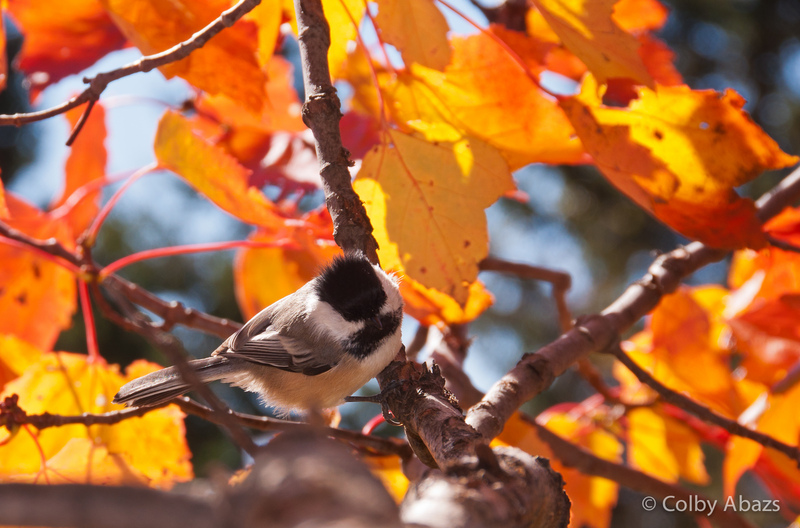 I liked how there were a bunch of Chickadees flitting around surrounded by glowing colors. This one is my favorite because of how the Chickadee looks like it has a spiky head of hair.